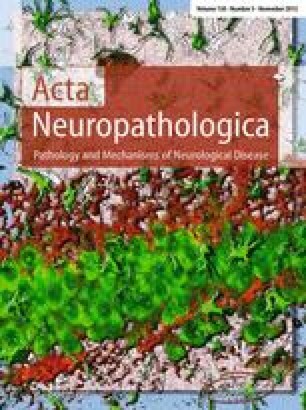 The nuclear transactive response DNA-binding protein 43 (TDP-43) undergoes relocalization to the cytoplasm with formation of cytoplasmic deposits in neurons in amyotrophic lateral sclerosis (ALS) and frontotemporal lobar degeneration (FTLD). Pathogenic mutations in the TDP-43-encoding TARDBP gene in familial ALS as well as non-mutant human TDP-43 have been utilized to model FTD/ALS in cell culture and animals, including mice. Here, we report novel A315T mutant TDP-43 transgenic mice, iTDP-43 A315T , with controlled neuronal over-expression. Constitutive expression of human TDP-43 A315T resulted in pronounced early-onset and progressive neurodegeneration, which was associated with compromised motor performance, spatial memory and disinhibition. Muscle atrophy resulted in reduced grip strength. Cortical degeneration presented with pronounced astrocyte activation. Using differential protein extraction from iTDP-43 A315T brains, we found cytoplasmic localization, fragmentation, phosphorylation and ubiquitination and insolubility of TDP-43. Surprisingly, suppression of human TDP-43 A315T expression in mice with overt neurodegeneration for only 1 week was sufficient to significantly improve motor and behavioral deficits, and reduce astrogliosis. Our data suggest that functional deficits in iTDP-43 A315T mice are at least in part a direct and transient effect of the presence of TDP-43 A315T . Furthermore, it illustrates the compensatory capacity of compromised neurons once transgenic TDP-43 is removed, with implications for future treatments. Y. D. Ke, A. van Hummel and C. H. Stevens contributed equally to this work. The online version of this article (doi: 10.1007/s00401-015-1486-0) contains supplementary material, which is available to authorized users. The authors like to thank the staff of the Biological Resources Centre Wallace Wurth for animal care. We also thank Prof Virginia Lee for anti mouse TDP-43 antibodies. This work has been supported by the National Health & Medical Research Council (NHMRC; #1081916, #1020562), the NHMRC Forefront Program grant (#1037746) and the Australian Research Council (ARC; #DP1096674, #DP130102027), Motor Neuron Disease Australia and the University of New South Wales. Y.D.K. is an ARC DECRA fellow (DE130101591). G.M.H. is an NHMRC Senior Principal Research Fellow (#1079679). L.M.I. is an NHMRC Senior Research Fellow (#1003083).